I loves you, Porgy & Bess. Or The Gershwins’ Porgy & Bess. Whatever. 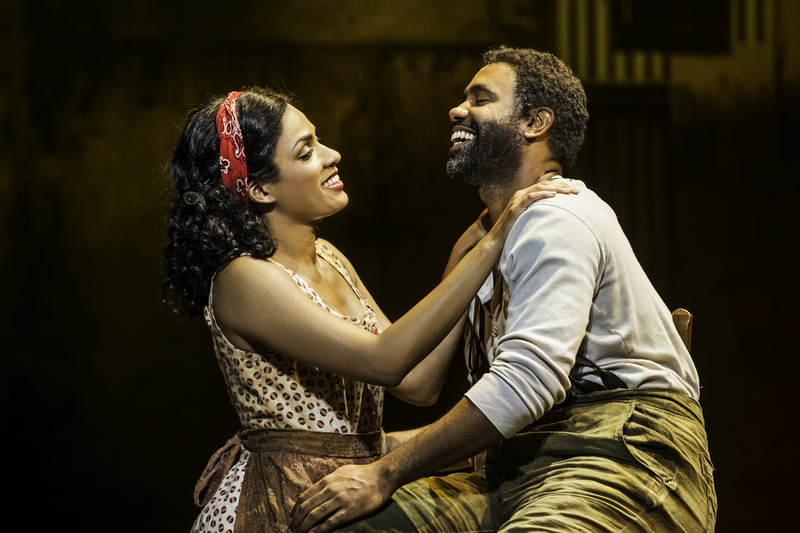 Yes, it’s clearly an insult to DuBose Heyward, who wrote the novel Porgy, and to his wife Dorothy Heyward, with whom he collaborated on the script for a play derived from the novel, that the latest (2011) Broadway version is called The Gershwins’ Porgy & Bess, as if the Heywards had nothing to do with the creation of an American classic. But I was still moved past the point of articulate expression by the show when its touring version stopped in Washington Christmas week, as my tongue-tied Washington City Paper review demonstrates. Because I decided the most honest way to approach the piece — which was assigned late, for a short run of a show opening on Christmas night, leaving me no time to prepare — was to cop to the fact I’d never seen Porgy & Bess before, I left myself vulnerable to the accusation I lack the appropriate credentials to review it. That’s a question I’ll be addressing at length later this month. This entry was posted in theatre and tagged Dorothy Heyward, DuBose Heyward, play reviews, PORGY & BESS, provocations, The Gershwins, The Washington CIty Paper, Washington City Paper. Bookmark the permalink.